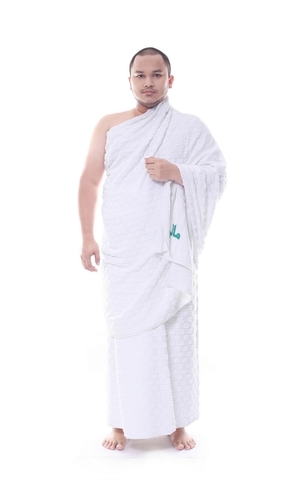 Ihram cloths for men pilgrimages. Made from unsewed 100% cotton fabric. Comes in two pieces of cloth. Available in 3 type of weights. The heavier the weight means the thicker's the fabric.